The diligent team of reporters tried to find out from him why he did not bother to recover the huge amounts paid to Offor’s companies, and the retired army general, noted for ebullience, surprisingly sounded helpless before a mere civilian, a mere government contractor, almost half his age. Here are his words: “ (Recover money from)a man who was paid upfront? He had people. He got some police….People were there. And Emeka Offor, after I left (office), became friends with every government that has come”. Offor was, no doubt, friends with the Yar’Adua and Goodluck Jonathan governments. With this interview, Obasanjo is strongly warning the new Muhammadu Buhari administration to avoid controversial contractors like a plague. Otherwise, they would ruin the new government they way they destroyed governments before it. I should think there is merit in the wise counsel because Buhari is globally recognized for high personal integrity, and his government is the last hope of the Nigerian people to get out of the corruption cancer which has metastised all over the country. It is necessary to explain the relationship between Offor and the refineries. 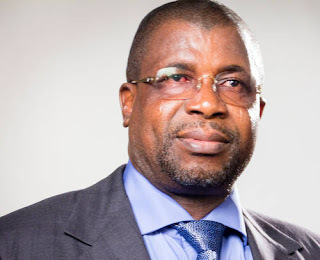 Offor founded a firm known as Anchoff Strongholds which was a clearing agent for the Warri Petroleum Refinery and Petrochemicals Company (WPRC) and later became its supplier. Between 1993 and 1994 it stunned the petroleum industry worldwide by becoming the first African company to carry out a turn-round maintenance (TAM) on the 125,000 barrels per day WRPC. It was assisted by Gidado Idris, then permanent secretary in the Ministry of Petroleum Resources, who was to become chairman of all of Offor’s companies. But practically no work was done. A probe led by Aret Adams, the best group managing director of the Nigerian National Petroleum Corporation (NNPC) ever, was instituted. The report recommended the dismissal of the WRPC managing director, Dr Owokalu, for his role in the scandal. The government acted promptly. The report also recommended the blacklisting of Anchoff Strongholds and its promoters and their ban from ever doing business with the NNPC. It was accepted. But in the typical Nigerian fashion, the latter recommendations were circumvented. Anchoff promoters formed a new company and named it Chrome. Meanwhile, Gidado Idris had taken over from Aminu Saleh as the new Secretary to the Government of the Federation under General Sani Abacha’s military dictatorship. Chrome was awarded the contract to do the TAM on the 210,000barrel per day Port Harcourt Refinery and Petrochemical Company, which is much bigger than the Warri refinery whose TAM had become an international scandal. Ever since then, all the country’s refineries have become comatose. This is the background to Obasanjo’s anger over the sweetheart deals between various Nigerian governments and Offor. Yet, I have tremendous difficulties with the impression which ex President Obasanjo has sought to give about his relationship with Offor. There is overwhelming evidence that Obasanjo not only empowered Offor but went out of his way to do so; in the process he violated all known rules and ethical standards. I would like to cite just an example which I know pretty well: the Joint Development Zone (JDZ) between Nigeria and the twin island of Sao Tome and Principe. Believed to be rich in natural resources, especially in hydrocarbons or crude oil and gas reserves, Nigeria and Sao Tome and Principe signed an agreement during the Obasanjo administration to exploit the resources in their maritime boundaries. Nigeria is the senior partner in the Joint Development Agreement (JDA) with a 60% stake while the small Portuguese-speaking island nation took 40%. Two leading American petroleum giants, ChevronTexaco and ExxonMobil, had been contracted on February 1, 2005, by both the governments of Nigeria and Sao Tome & Principe to carry out exploration when the contract for the first oil bloc was awarded. But the contracts for the next four blocs went the Nigerian way. Everything was handed over to the Environmental Remediation Holding Corporation (ERHC), a very small, fledging company which Offor had acquired and relocated its headquarters to Houston, Texas. So many operatives of the then ruling Peoples Democratic Party (PDP) like Tony Anenih and his firm, A & Harmattan Ltd had now entered the oil business in the JDZ between Nigeria and Sao Tome & Principe. ExxonMobil and ChevronTexaco got disgusted and refused to participate in the bidding rounds which were to provoke controversies around the world. Other American companies which bidded higher than ERHC were ignored. The World Bank stepped in and hired Professor Debie Langenkamp of the University of Tulsa in the United States to look into the widespread claim of shady deals. In a report published on December 9, 2005, Sao Tome & Principe President Fradrique de Menezes accused the Nigerian government and its cronies of colluding to deprive his people of a substantial amount because of corrupt practices. He thundered: “The procedures used to select the companies which received concessions contained serious flaws as it did not satisfy the minimum standards required for the award of such licences”, describing the Nigerian firms as “emergency investment vehicles of financial speculators with no track record in oil exploration and production”. In the United States, the regulatory authorities described ERHC as “little more than a paper company with no operations and just one favourable contract in its portfolio”. My friend at Clearwater Research of London, Anthony Goldman, a respected Jewish analyst, called the deals with ERHC “ruinously unfavourable to Sao Tome & Principe”. Of course, the controversial deals were not handed over to the tiny island nation by ERHC unilaterally. Officials of Sao Tome & Principe were compromised. Hence, Arlindo Carvalho, the Minister of Natural Resources, was forced to resign on May 18, 2005. Two weeks earlier, Patrice Trovoada, the president’s adviser on Petroleum Issues, was sacked for placing his personal interests over those of the nation while another adviser named Manuel Rita, was thrown out following revelations that he had shares in ERHC. Meanwhile, there were rumours that President de Menezes had collected cash from ERHC. It was, indeed, a difficult period for Adelino Pereira, the hardworking Attorney General of Sao Tome & Principe. Needless to say, ERHC could do all this in the JDZ between Nigeria and Sao Tome & Principe because it was supported every inch of the way by the Nigerian government. Therefore, it is unacceptable for Obasanjo to attempt to create the impression that every government in Nigeria supported Offor in his controversial business deals except his. Obasanjo probably did more than any other president to empower Offor. But the central kernel of his message to President Buhari should not be lost on any person: steer clear of controversial contractors, especially those who made Yar’Adua and Jonathan governments become byword for sleaze. Al-Bishak, a petroleum engineer, was a consultant on the Joint Development Agreement between Nigeria and Sao Tome & Principe.